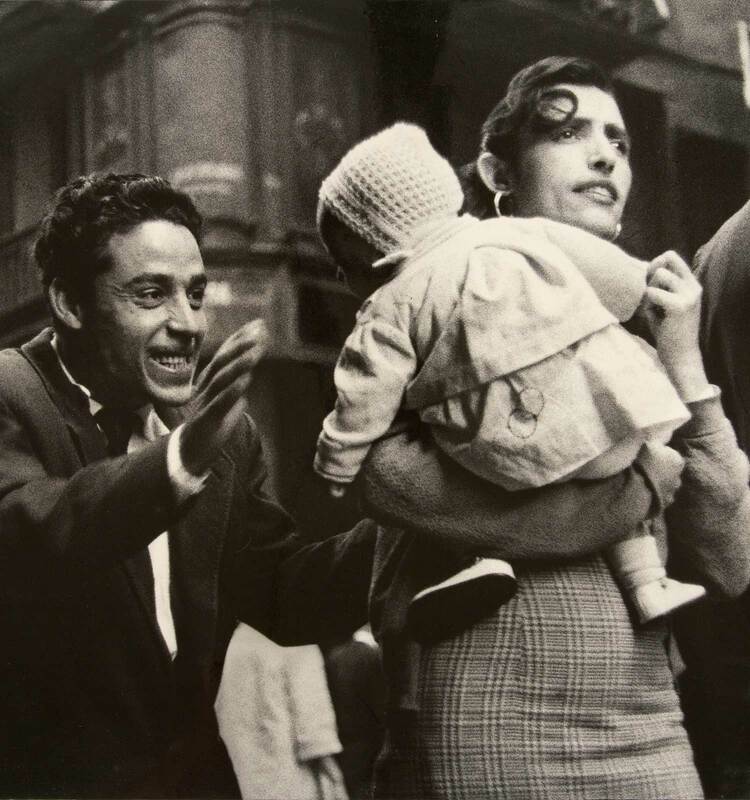 The Museu Nacional d’Art de Catalunya has acquired a collection of 200 photographs by Oriol Maspons (Barcelona, 1928-2013) from the heirs of the artist, thanks to the funding of the Nando and Elsa Peretti Foundation. The museum has reached an agreement with the family of the photographer for the acquisition of this important collection of photographs and for the organization in 2019 of a major anthological exhibition. This collection of photographs, highly representative of the different periods of the Maspons trajectory, has been selected from among the works from the archive that the photographer deposited in the Museu Nacional in 2010. The collection of works of Oriol Maspons that the Museu Nacional conserves, is made up of more than 7,000 photographs on paper, taken between the 1950s and the end of the 1980s, as well as negatives and different photographic material. The sponsorship by the Catalonia Delegation of the Nando and Elsa Peretti Foundation for the acquisition of this collection of photographs, as well as the funding of the works of documentation, digitization and conservation of this archive, with the aim of being able to integrate it in the museum's collection and for it to form part of a retrospective exhibition dedicated to this major Catalan photographer, is one of the many projects being carried out by this foundation in support of Catalan art and culture. 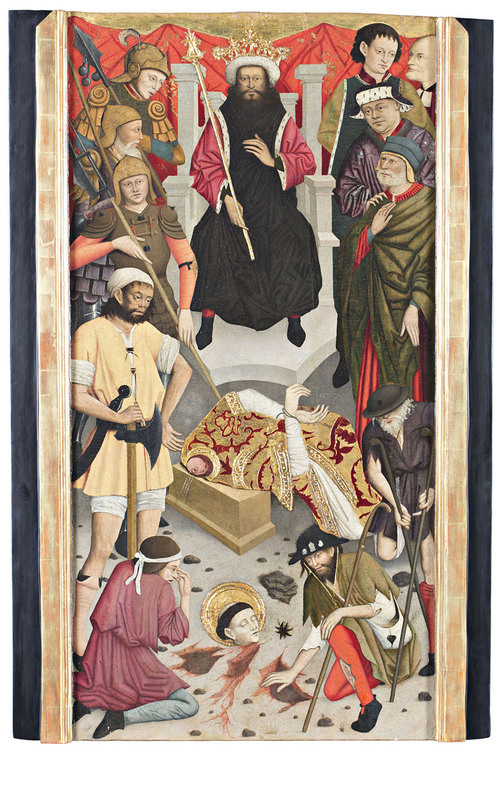 At an auction held in Barcelona on 31 May 2017 the Museu Nacional acquired the panel painting by Lluís Dalmau of the Decapitation of Saint Baudilus, from the old Gothic high altarpiece in the parish church of Sant Boi de Llobregat (Baix Llobregat), one of the few works by the painter to have been conserved. 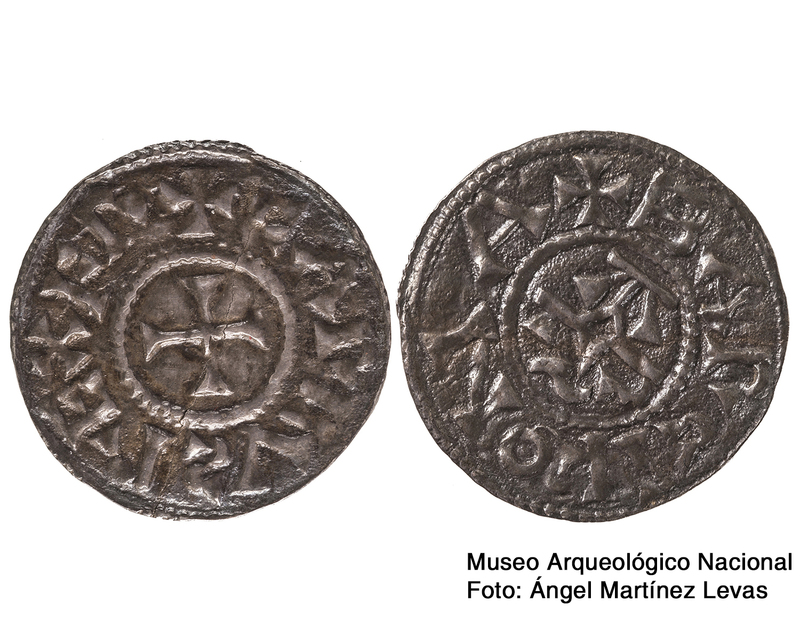 The museum’s numismatic collection is enriched in a unique way with the arrival of a coin minted by king Charlemagne (768-814) at Barcelona city. This is one of the last patrimonial remainders that have arrived from the period of the foundation of Barcelona’s county after its incorporation to the Kingdom of the Franks in spring 801. It’s a silver coin in a very good conservation state in which you can see the name Charles, king of the franks around a centric cross and the name of the city around the sovereign’s monogram. It’s an extraordinary piece that the Ministerio de Educación, Cultura y Deporte (the department of education, culture and sports) acquired in 2014 and that the Museo Arqueológico Nacional has now lend to the Museu Nacional to show to the public in the permanent exhibition room of numismatic. To remark the exceptional nature of this acquisition the Numismatic Cabinet of Catalonia organizes during May 9 and 10 a seminar called The Carolingian currency in the Hispanic March. 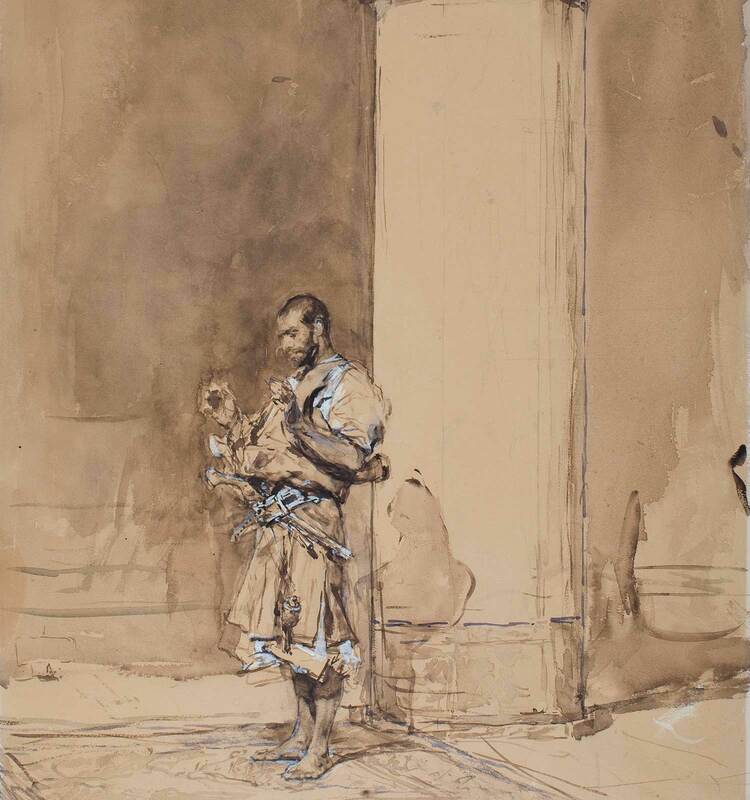 The Darcawi Holy Man from Marrakech is a very archetypal work of the Tangiers activity of Josep Tapiró, the one which contributed to making the artist from Reus one of the most qualified authors of the orientalist genre. In compositional and thematic terms, it brings together the most characteristic aspects of these types of portraits, much appreciated by the customers of the period and by the major collectors of orientalist paintings. The watercolour makes evident the major technical command of Tapiró, of great descriptive detail and of an extraordinary quality, two of the main characteristics of his work. The precision, the realist character and the resemblance of the physical features of the model are also aspects worth highlighting, that would become constants of his work during the period of his stay in Tangiers. The incorporation of the watercolour, that had already participated in the exhibition organised by the Círculo de Bellas Artes (The Circle of Fine Arts), in Madrid, in 1907, will strengthen the presence of the artist in the museum, given that, until now and unfortunately, the Cabinet of Drawings and Prints has only conserved a unique print by the artist. Despite the fact that the museum already conserves an important collection of drawings and paintings by Joan Llimona (in Spanish) –more than 50 works– it is true that this production has a special significance, given that it is related to the painting entitled Conversion, from 1919, which also forms part of the collection of the museum. Specifically, this refers to a preparatory drawing, with slight variations in the position of the body, of one of the figures represented in the pictorial composition. The link between the two works contributes to documenting the creative process of a work that the author presented within the framework of the Exposició d’Art (The Art Exhibition) that took place in Barcelona in 1919. The mural Joan Miró and the ceramist Joan Gardy Artigas made in 1978 for the IBM headquarters will be exhibited from 28th November in the Dome Room, on the first floor of the museum. 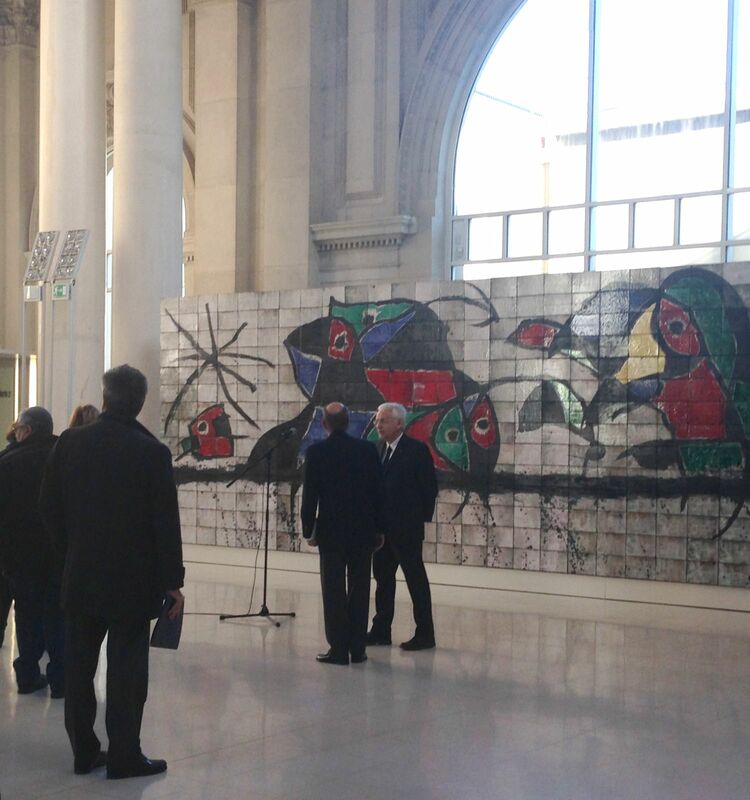 The mural is almost 9 metres wide by 2 metres high and is made up of 406 refractory ceramic tiles. The work is the property of the Ministry of Education of the Generalitat de Catalunya and is on long-term loan to the Museu Nacional d’Art de Catalunya. In 1922, The Spanish Wedding by Fortuny was acquired from a private French collector thanks to private donations and public subscription. Now, almost a century later, we can admire the drawing The prayer with the contributions from all those who have participated in the campaign of micropatronage that the Friends of the museum set in motion on the occasion of the presence of the drawing in the exhibition The battle of Tetuan. From the trenches to the museum (in Catalan). It is a drawing of high quality that brings together all the characteristics or orientalism, a genre in which Fortuny was a master. A drawing full of sensitivity, thoroughness, good taste and preciousness by the painter from Reus. The Paraigüer-penjador de la Casa Salieti (Umbrella stand – coat hanger from the Casa Salieti) is one of the best examples of the wrought iron work by Rafael Masó (1880-1935), one of the maximum components of Noucentista architecture and design in Catalonia. The work, which had always been in private hands, was recently put to auction and was acquired by the Fundació Rafael Masó. The President of the Foundation and Mayor of Girona, Carles Puigdemont, and the President of the Board of Trustees of the Museu Nacional d’Art de Catalunya, Miquel Roca, signed an agreement for the cession of the work in deposit for a period of ten years. Both institutions have made it possible in this way for the production of Rafael Masó to be present in the collections of the National Museum, which until now didn’t have any work by the architect from Girona. The Paraigüer-penjador de la Casa Salieti will be exhibited with the works of other architects who were contemporaries and friends of Rafael Masó: Antoni Gaudí, Josep Puig i Cadafalch and Josep M. Jujol. The work is a good example of the evolution that Masó underwent from the Modernisme of his youth towards the more geometric and austere forms of Noucentisme. The impressive Umbrella stand, more than two metres high, is also a magnificent example of the task that the Girona architect carried out to renew and vindicate the artistic trades with local craftsmen, in this case with the collaboration of the ironsmith Nonito Cadenas, one of his main collaborators in the decoration of buildings. The Casa Salieti is a townhouse from the 14th century in the centre of Girona that Masó reformed between 1910 and 1911, commissioned by Joan Salieti (1835-1928), a businessman from the paper industry who was very influential in the Girona society of the time and a habitual client of Masó. The umbrella stand forms part of an important intervention in the building, focused around the main staircase, with various elements of wrought iron, stone, ceramics and windows, so as to emphasis its noble feel, in a line that reminds us of the neogothic interiors of English Arts & Crafts architecture, which Masó knew and admired. The interest of this painting is doubtless, both from the iconographic and artistic viewpoint. Its author, Federico de Madrazo, is one of the most relevant artists of Spanish Romanesque painting, and, moreover, was a leading character in the official artistic field of Madrid during the reign of Isabella II due to the different posts he held, among which it is worth noting that he was Director of the Museo del Prado. 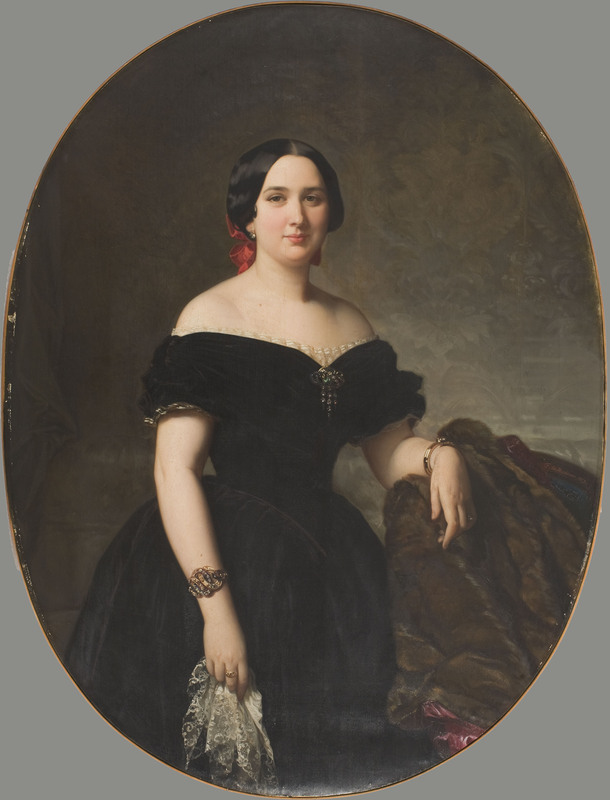 From the stylistic point of view, this painting responds perfectly to the characteristics of the portraits done by Madrazo in the decade of the 1850s, in which he demonstrates his excellence both in the representation of the features of the characters by means of solid drawing that makes evident the influence received from Ingres, as well as in the detailed and exuberant expression of all the ornamental elements. The person portrayed, belonging to a family from the Barcelona high society, married Ignasi Girona i Agrafel (1824-1889), one of the eight children of Ignasi Girona Targa, the patriarch of one of the most conspicuous lineages of industrialists, businessmen and bankers of Catalonia from the 19th century and beginning of the 20th century. Furthermore, it is worth highlighting that the Gardens of Vil·la Amèlia, in the district of Sarrià Sant Gervasi of Barcelona, take this name in homage to Amèlia de Vilanova, given that originally they were the gardens from the property owned by her husband, a place in which the Girona family would spend its summers for many years. The archive of Joan Colom, the street photographer, is incorporated in the museum. In July 2012, the complete archive of Joan Colom, made up of more than 9,000 photographs on paper, as well as negatives, an 8mm film and all his documentation was acquired by the museum in accordance with the will of the photographer. The collection contains the whole work of Colom, the photographer of streets and all the personages passing by, and includes photographs taken between 1958 and 1961, when the photographer regularly entered the «Barri Xino» (the Chinese neighbourhood), the Somorrostro and the Born, and the documentaries that he dedicated to the topic of the bulls. He voluntarily gave up photography in 1964 and didn’t go back to it until the 1990s, when he started to take pictures in colour, most of them unpublished, taken from that time on, until practically the present day. In December 2013 the Museu Nacional has devoted an exhibition to this great photographer, I workthe street. Joan Colom, photographs, 1957-2010, where he has shown his work, from 1957 to 2010, a large part of which remained unpublished. 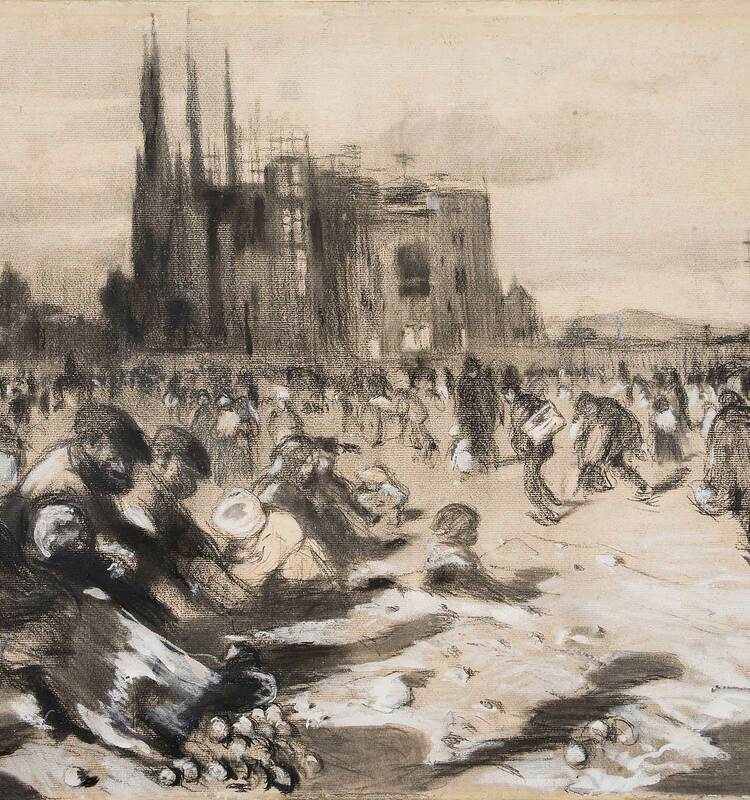 On 27th July 2012, the museum incorporated the collection, alongside the final painting, a drawing in charcoal and white crayon that Joaquim Mir did in 1898, when he found himself immersed in carrying out the oil painting La catedral dels pobres, from the Carmen Thyssen-Bornemisza collection, that you can see in the rooms. It is considered to be one of the best drawings by the artist, and helps us to understand the creation process of the painting. The composition summaries both the social theme as well as the new language, in which we can recognise the sensitivity of the second Modernist generation, that originated the appearance of the Colla del Safrà, of which artists such as Ricard Canals, Isidre Nonell or Joaquim Mir himself, formed part. Oriol Maspons, Bikini. Acquisition funded by the Nando and Elsa Peretti Foundation, 2017. Lluís Dalmau, the Beheading of Saint Baudilus.